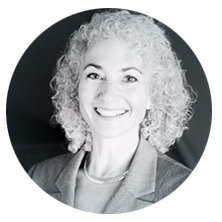 Dr. Bonnie Schmidt is the founder and president of Let’s Talk Science, an award-winning, national charitable organization that she started in 1991 while completing a Ph.D. in Physiology. Let’s Talk Science helps children and youth fulfill their potential and prepare for their future careers and citizenship role by supporting their learning through science, technology, engineering and mathematics (STEM) engagement. Now celebrating its 25th anniversary, over 7 million youth and educators have been reached and an estimated 27,000 volunteers have been engaged with Let’s Talk Science. Supporting education transformation and developing creative, critical thinkers the organization has a bold plan to impact 5 million more youth by 2020. Bonnie has been active in a variety of national and provincial organizations and initiatives. For her efforts in education and youth development, Bonnie has received several awards and was named a Member of the Order of Canada in 2015. In 2018 she was named a Fellow of the Royal Society of Canada.